Copyright, 1880, by Chas. D. Blake & Co.
And though baby slumbers he hears what she sings. 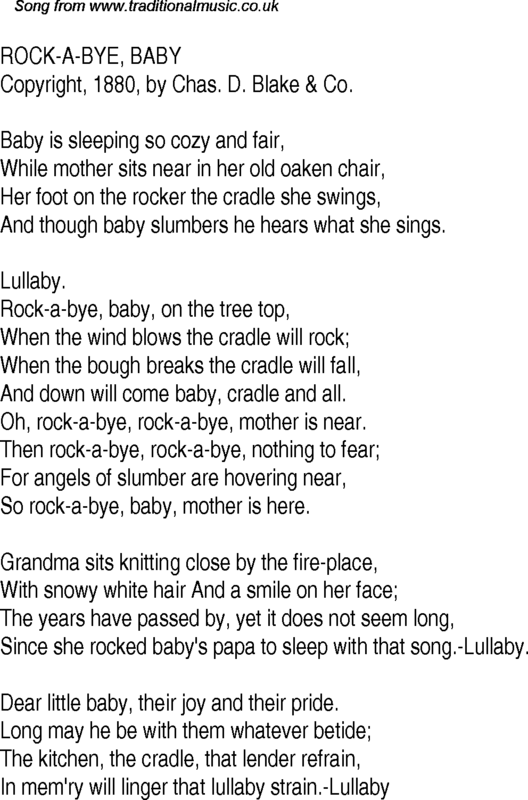 Oh, rock-a-bye, rock-a-bye, mother is near. So rock-a-bye, baby, mother is here. Since she rocked baby's papa to sleep with that song.-Lullaby. Dear little baby, their joy and their pride.